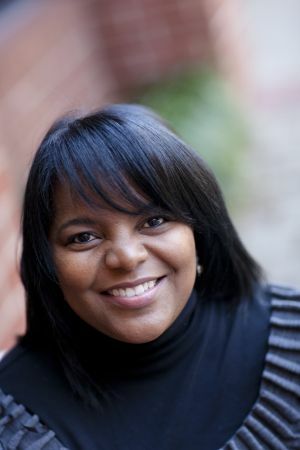 Stephanie Powell Watts, associate professor of English at Lehigh University, was awarded the Ernest J. Gaines Award for Literary Excellence for her debut story collection, We Are Taking Only What We Need. Watts’s work chronicles the lives of young African Americans who come from, or live near, the “dark houses out on tangled dirt roads on the fringes of the county.” Her stories draw on her experiences in fast food and factory jobs, and as a Jehovah’s Witness minister to explore themes of loss, faith, and hope, giving voices to communities usually unheard. Watts joins a distinguished list of Gaines Award winners. Past recipients include Dinaw Mengestu, Victor Lavalle, and Jeffrey Renard. The award is named for one of the nation’s most prominent writers and a son of Louisiana, Ernest J. Gaines and is administered by the Baton Rouge Foundation. We Are Taking Only What We Need has been frequently honored in the past year. It was one of two finalists for The Hemingway Foundation/PEN Award, as well as a finalist for the Chautauqua Prize, the John Gardner Short Story Award, the Foreword Review Prize, USABookNews.com Best Books and was on the longlist for the Frank O’Connor International Short Story Prize. It has been listed as one of the best books of 2012 by The New Yorker, The Kansas City Star, and other publications. Stories from the collection have appeared in the prestigious Pushcart Prize anthology in 2008, Best New Stories from the South anthologies in 2007 and 2009, and two stories were cited as Distinguished Stories in the 2009 and 2011 Best American Short Stories anthologies.